My interest in perennial vegetable production is two-fold. The first reason is to add an underscoring layer of stability and security to our farm. 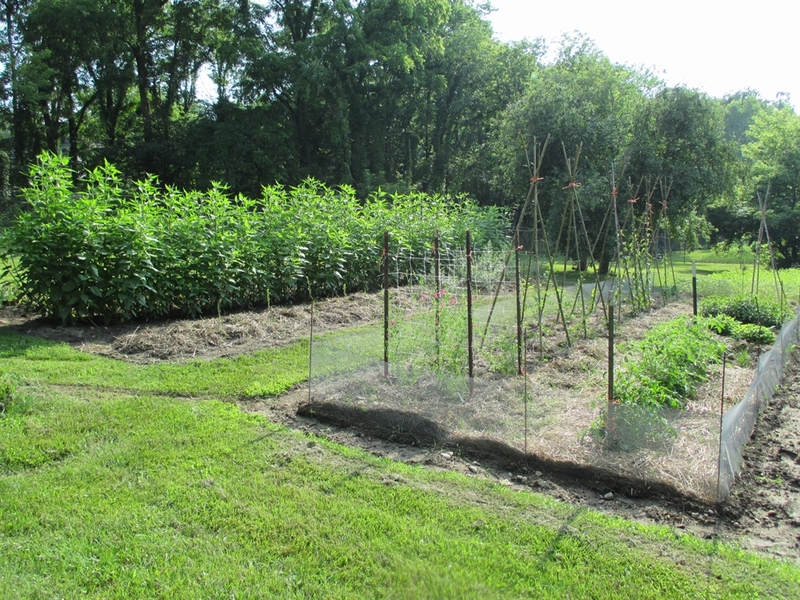 The idea of a food crop growing on the periphery of our cultivated beds with minimal attention is comforting. Is it realistic? That is an ongoing question to be answered. The second reason to grow perennial vegetables is to explore a richly diverse, yet overlooked grouping of food plants. We are all familiar with some common perennial vegetables whether we are aware that they are perennials or not. Asparagus, chives, and rhubarb can be found at almost any supermarket, farmers’ market, and in many gardens here in Northern Indiana, but when is the last time you had Skirret root in a soup or raw Chinese Artichoke tubers in a salad? I had read about some of these more unusual crops for years, but had never seen, let alone eaten them, with the exception of Seacale, a perennial vegetable which can be found growing wild on the shores of Europe’s Atlantic and the coasts of the Baltic and Black Sea. 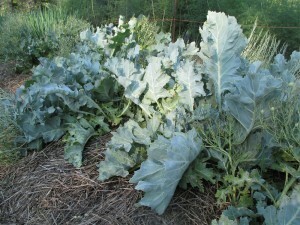 I have raised this crop for a number of years and even sold it at my vegetable stand. I consider it to be absolutely delicious cooked, and my wife eats the young leaves fresh in salads. Seacale takes a few years to establish, but then becomes quite productive and hardy. I am currently raising a number of perennial vegetables on the farm including Groundnuts, Skirret, Chinese Artichokes, and Chinese Yams to name a few. I also have a collection of perennial alliums like Ramps, Potato Onions, and Perennial Leeks. The perennial root vegetables are of particular interest. If productive enough and palatable enough, they would make great additions to any garden as calorie crops (that is any crop that produces a large amount of food energy per unit of garden space). This Fall I ate my first Chinese Artichoke tubers and Groundnut tubers. Both were very delicious and quite palatable and appear to be quite productive. In addition, many of these crops, including the Groundnuts are nitrogen-fixing and have the potential to enhance the fertility of nearby soil. They would probably work well in some type of a companion-plant arrangement. I am currently growing these crops in beds for continued evaluation and as future nursery stock. The ideal production model would be to take it a step further and try to naturalize them in suitable locations on the periphery of my cultivated fields and/or in portions of the farm left natural. Here I have a number of questions. In Northern Indiana, poison ivy can be quite a problem. On our property we have some pretty lush stands growing in the above mentioned area. I do not see how a crop like Groundnuts could be easily harvested if invaded by poison ivy. Another possible problem could be weed control in general. In theory, spending much time cultivating a naturalized plant would pretty well defeat the purpose of naturalization in the first place. These and many other questions will need to be addressed in the coming years. I will continue to share my successes and failures regarding the attempt to establish these crops in uncultivated areas here on our farm. 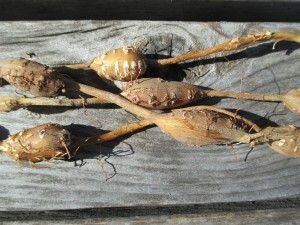 This coming spring of 2014, I plan to have a number of these perennial vegetables available as seed, tubers or transplants. Apart from the undecided question of naturalization in our region, perennial vegetables do appear to be a welcome addition to any garden, homestead, or permaculture site. This entry was posted in Perennial Vegetables, Root Crops and tagged calorie crops, Northern Indiana Seed, Perennial Vegetables. Bookmark the permalink. goats love poison ivy, as do deer. Where the ‘ivy is thick, deer get fat. It has a very high level of protein. have you tried spraying with white vinegar? It cannot grow in acidic soils. But, the subject is perennial vegetables. Sunchokes, how do they do in a permanent bed? I mean as far as pests go. A native to the Great Plains, they do pretty well as weeds, but I don’t know how they handle pests. and reduce tuber quality and size. I have not tried spraying vinegar for poison ivy, of which, we have a lot here in Northern Indiana. Hello David. I currently do not have perennial leek or potato onion seed. I only know of one source that is in Australia. Here is their website.